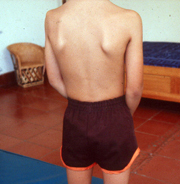 Postural and movement characteristics seen in children with postural disorganization are compensatory patterns that develop over time. 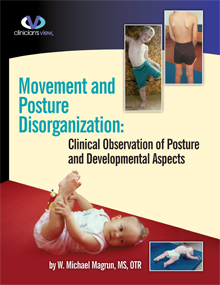 The relationships between developmental experience and later observed characteristics seen in children with postural and movement disorganization are important to understand in order to fully appreciate the compensatory structure and function often observed in these children. 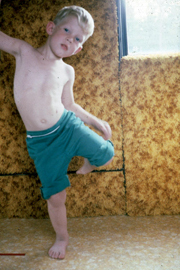 Developmental factors of low postural tone, lack of experience in weight-bearing postures, inadequate development of rotation, and inefficient postural stability of the trunk, influence the development of structure, alignment, midline control, central stability and overall efficient sensorimotor performance.